​​​SAN ANTONIO - The $46 million Springs at Stone Oak Village apartment complex on the far North Side has been sold to a partnership between two Texas real estate investment firms. 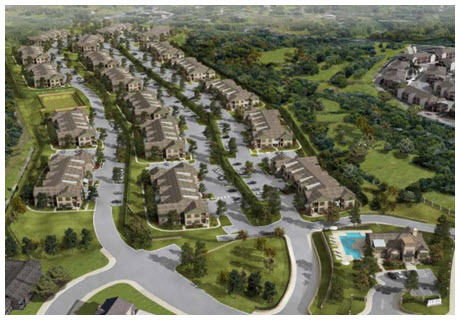 Wisconsin-based developer Continental Properties sold the 27.5-acre complex last week to CAF Stone Oak Village LLC. Continental Properties built the 360-unit complex in 2013 at 22202 Estate Hill Dr., close to the intersection of US 281 and Stone Oak Pkwy. ​Check out San Antonio Multifamily Market Research​ where data are listed alphabetically by company name.